I am so excited to share this project with you! 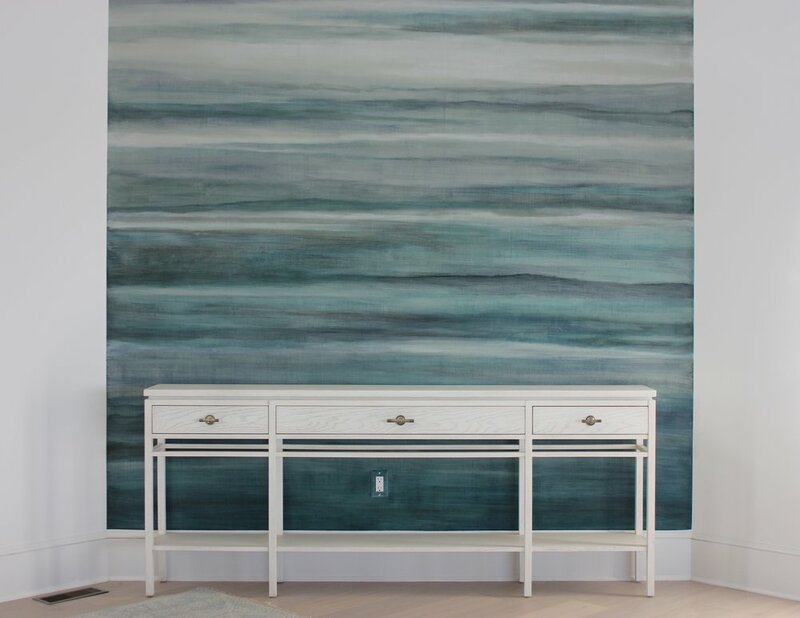 Recently Christie Leu of Christie Leu Interiors called me up because she had a realization that I would be the one to solve a design dilema for her and her client. 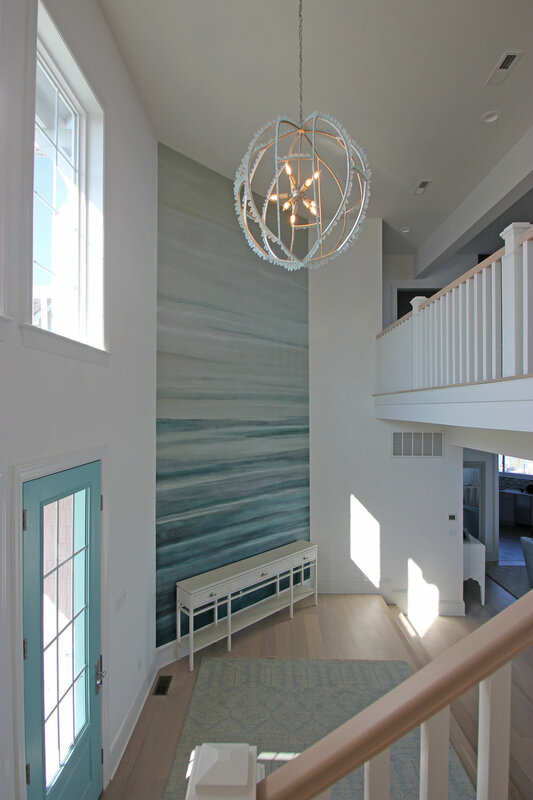 Originally she had specified a wallpaper for a feature wall in the foyer of her client's bay front property in Ocean City, MD. But because the wall was so tall (19' to be exact) the cost to have it custom made was way over budget. 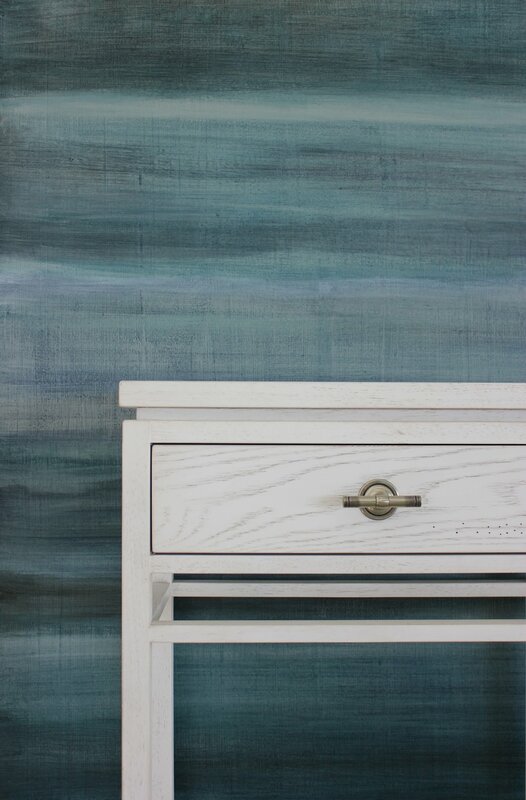 Then it dawned on her that I could create a finish inspired by the wallpaper, and stay within the budget! A win-win! Christie sent me the sample and I went to work creating a painted version of it. I wanted to keep the grasscloth texture like the original so I decided to go with a plaster ground. Once dry, I layered glazes, wiping back and adding more, until the desired effect was achieved. I think the final product is a showstopper and really compliments the stunning design work in the home. 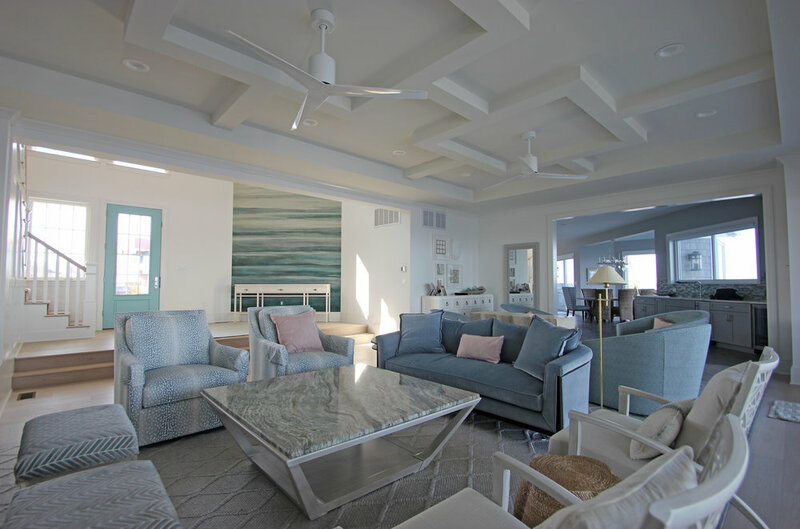 The house was remodeled from top to bottom and Christie really did a beautiful job. I hope the clients have many happy years there. Do you have a design dilema we could help with? Contact us today!